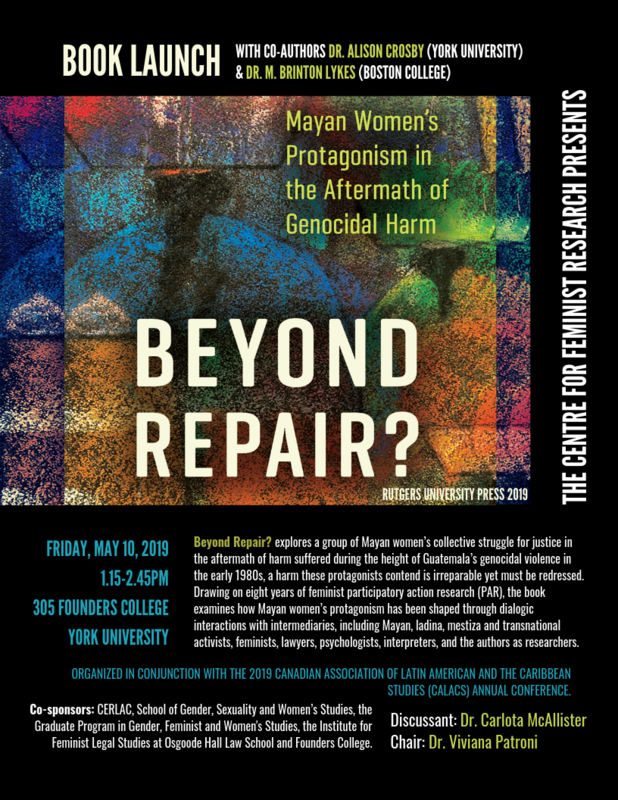 Dr. Bagchi investigates utopian and dystopian writing by South Asian feminist and activist women, in particular Rokeya Sakhawat Hossain, from the first half of the 20th century, Lila Majumdar, from the second half of the 20th century, and Vandana Singh, from contemporary times. Utopian and dystopian fiction are classifiable under the umbrella term speculative fiction, fiction with an apocalyptic or futuristic feel, which speculates with or takes risks with the reality it creates in the fiction. Much of Dr. Bagchi's published research has analysed literary sources, especially speculative fiction, as integral parts of histories of women's education, with education seen as both formal and informal, and as lifelong learning and self-development. 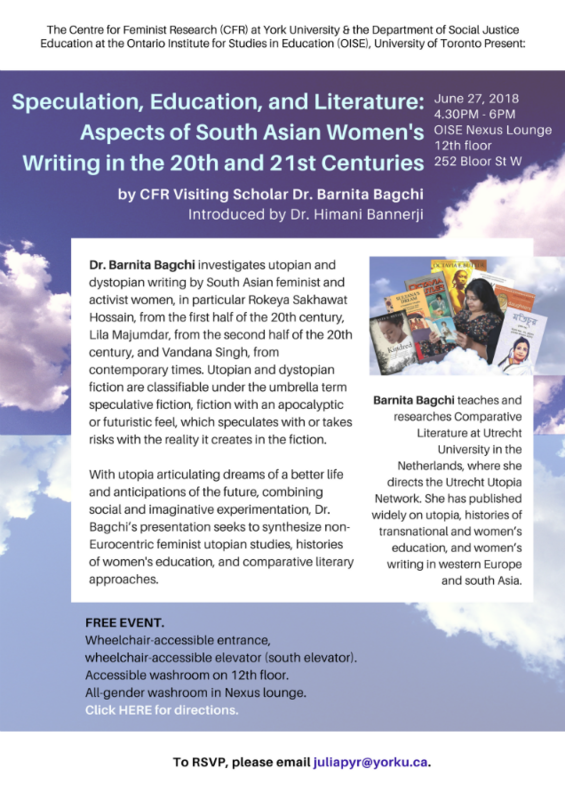 While the history of women’s education is not an established field in South Asian studies, women’s history is, and Dr. Bagchi's presentation situates itself within this tradition. With utopia articulating dreams of a better life and anticipations of the future, combining social and imaginative experimentation, the presentation seeks to synthesize non-Eurocentric feminist utopian studies, histories of women's education, and comparative literary approaches. Dr. Barnita Bagchi teaches and researches Comparative Literature at Utrecht University in the Netherlands. Educated at Jadavpur University, India, and the universities of Oxford and Cambridge, she has published widely on utopia, histories of transnational and women’s education, and women’s writing in western Europe and south Asia. She directs the Utrecht Utopia Network (utrechtutopianetwork.nl), which, for example, recently hosted an international workshop in Utrecht on ‘Urban Utopias: Memory, Rights, and Speculation.’ Most recently, she has been awarded a British Academy Visiting Fellowship to conduct research on Transcultural Utopian Imagination and the Future: Tagore, Gandhi, and Indo-British Entanglements in the 1930s, at Lancaster University in late summer and early autumn 2018. Her books include the monograph Pliable Pupils and Sufficient Self-Directors: Narratives of Female Education by Five British Women Writers, 1778-1814 (New Delhi: Tulika, 2004), a part-translation with introduction, Sultana’s Dream and Padmarag: Two Feminist Utopias, by Rokeya Sakhawat Hossain (New Delhi: Penguin Classics, 2005), an edited volume, The Politics of the (Im)possible: Utopia and Dystopia Reconsidered (New Delhi, London, Thousand Oaks: SAGE, 2012), and the co-edited volume Connecting Histories of Education: Transnational Exchanges and Cross-Cultural Transfers in (Post)colonial Education, with Eckhardt Fuchs and Kate Rousmaniere (Berghahn Books, 2014). Her articles and chapters have appeared in volumes such as A History of the Indian Novel in English (Ed. Ulka Anjaria, New York: Cambridge Universtiy Press, 2016), and in journals such as Paedagogica Historica, Women’s History Review, and CLCWeb: Comparative Literature and Culture. Wheelchair-accessible entrance, wheelchair-accessible elevator (south elevator). Accessible washroom on 12th floor. All-gender washroom in Nexus lounge. To RSVP, please email juliapyr@yorku.ca.